A small portion of our garage sale-bound items. Do you have too much stuff? 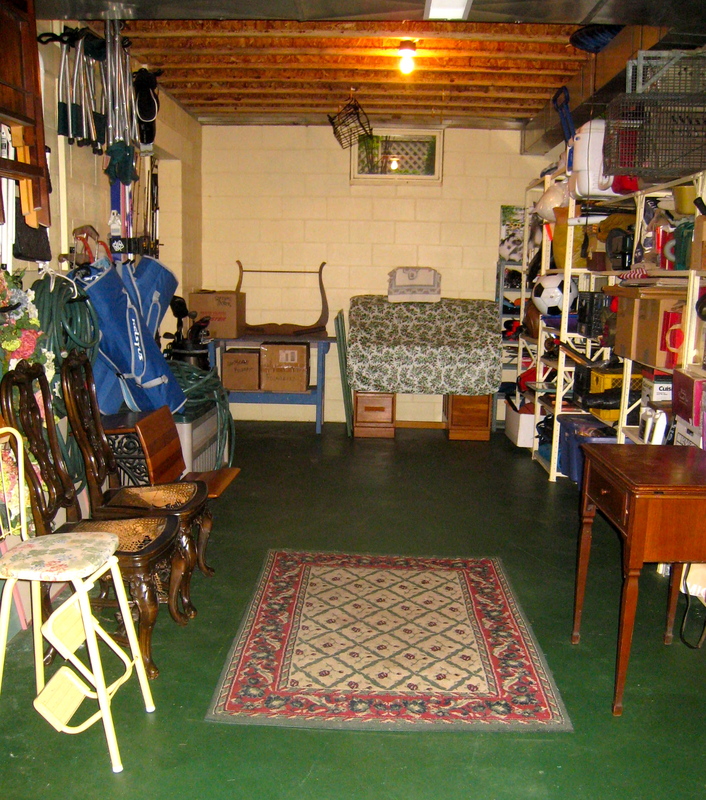 Do you feel like you need a shovel to dig a path through it when you walk into your basement? 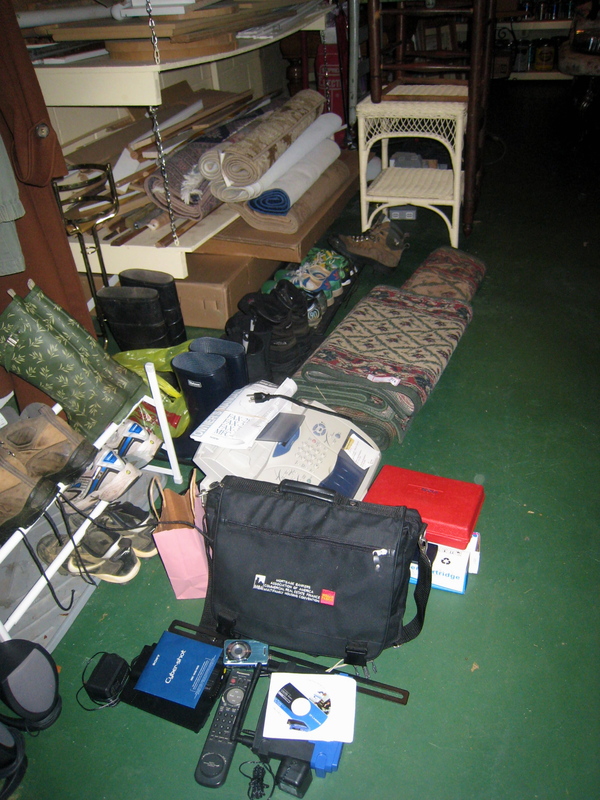 Our stuff had gotten the better of me by yearend 2009 and I pledged we’d have a family garage sale to purge a lot of stuff we no longer needed or used. 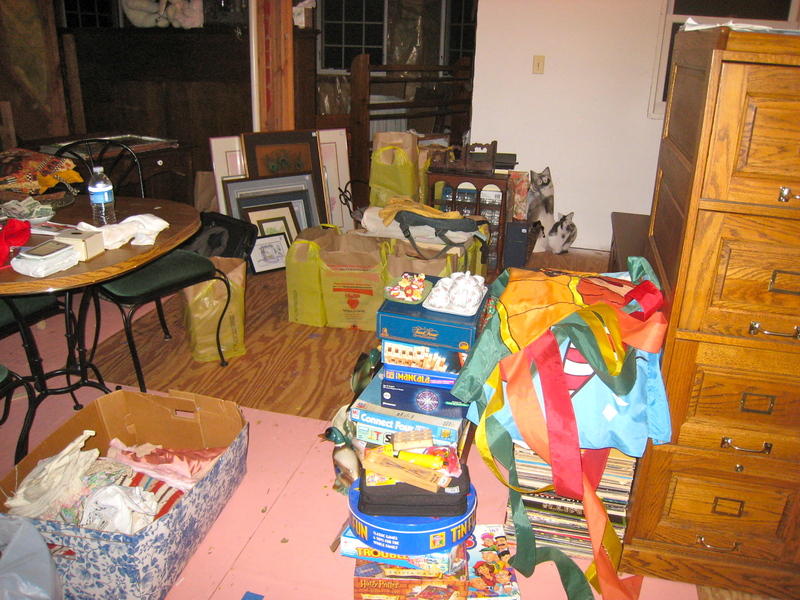 To that end, I sorted, tossed and laid items aside for a garage sale. My sister Cindy gave me a few boxes of stuff to sell too as she cleaned out closets and drawers. Well, the garage sale didn’t happen in the spring then it didn’t happen in the summer. We had too much to do what with volleyball, softball, lessons, vacation and “life.” Finally, finally I put my foot down and set a firm date on our family calendar. Our family garage sale happened yesterday, 9 am -3 pm. Garage sale stuff on our third floor. All hands were mostly on deck bright and early yesterday morning. True, my son Max didn’t arrived home from his Big Ten College (located 4 hours away) to help until 7:15 am (And, ok, he hadn’t slept all night and was likely hung over, but he did arrive as he’d promised!). True, I almost had to drag my daughter Tory out of bed by her feet (And this reluctance to help after we’d just paid $1,400 on Friday to fix another issue with that damned VW Bug of hers.). I was up at 6:30, had my cup of tea and went to work, anxious to offload whatever I could in the name of a neat house and a lighter load. My husband Mike was out of bed before 6:30 am, setting up tables and dragging boxes of stuff out of our basement. He wanted to have everything ready for when our first customers arrived. If you’ve every had a garage sale in our area of Northern New Jersey you know that the “sale” doesn’t actually begin when you advertise in your local paper that it will. Oh, no. The sale begins an hour, or sometimes two, before the advertised time. Around here customers will not honor a “no early birds” ad. Why? Because they are afraid someone might beat them to the deal of the century. Our first customer arrived at 7:45 am while we were still bringing out boxes and boxes of stuff. He moseyed around as I quickly unloaded box after box of stuff onto table after table that I thoughtfully borrowed from our church. He was polite, but persistent. But he left without buying a thing. We fared better with the next early bird customer. And the next. And the next. As the day progressed, we sold the vast majority of our stuff. 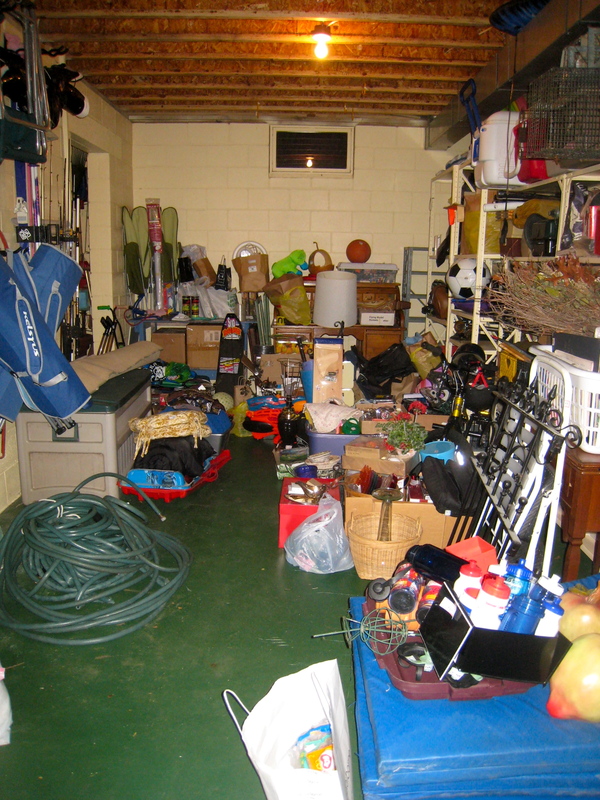 This room in our basement was stuffed with stuff. We can now walk into our basement and not bump our toes on stuff. We are clutter free. Can we remain this way? For how long? Who’s taking bets out there?! Ok. We still have a lot of stuff, but we sold hundreds of items and now look neater.